Our daughter has been attending this outstanding program for the last one and a half years. She has built comfort, speed, accuracy, and confidence with big and small numbers. She uses all mixed operational signs in a jiffy and leaves her teachers and classmates in awe. We highly recommend this program, and encourage parents to give their children an opportunity to work wonders with numbers in this technology-based world. I can see eagerness (in my son, Aravind) to find out how to solve more complex sums since Aravind has already done the basics in traditional method. Aravind has been in this program (for just) 3 weeks and I can (already) see that he has improved his editing and rechecking ability and his accuracy has improved. I believe that the ability to solve problems with speed and accuracy is key to improving skills in all the areas that need thinking and applying the concepts to all areas – not only academic – in music and sports too! With the UCMAS training, there are great differences in my son’s level of concentration, speed, accuracy and memory. His ability to remember concepts and work independently have increased marvelously. And we have certainly seen great improvement in his math skills. We’re very confident and satisfied with the UCMAS Mental Math program. We see the eagerness our two boys have shown when it comes to schoolwork and other activities. 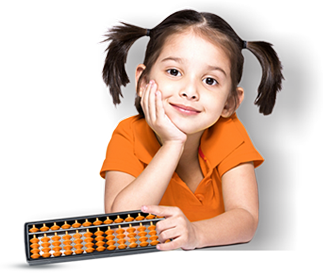 The program helps my children (stay) engaged in their activities and helps them in improving their capabilities in everyday situations in useful ways, and not just related to Mathematics. So, we as parents, encourage everyone, to take this opportunity – your children are going to love this…think UCMAS…there’s so much to learn here.